« TONIGHT: DJ Spooky Hosts a screening of MFF 2013’s DOWNLOADED at the MICA Brown Center – FREE for ALL! MFF Presents THE NEW BLACK with Director Yoruba Richen on Thursday 2/6! Maryland Film Festival is pleased to present a screening of award-winning documentary THE NEW BLACK with filmmaker Yoruba Richen on Thursday, February 6th at the MICA Brown Center. 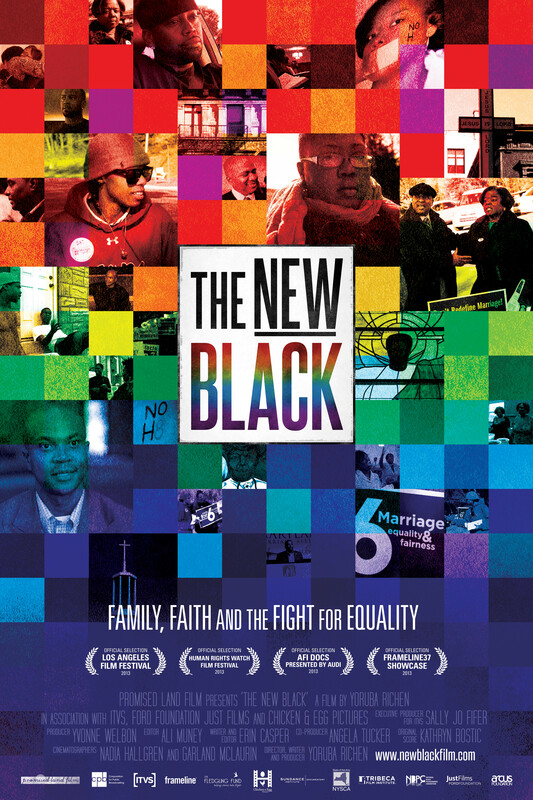 THE NEW BLACK won the 2013 Audience Award at AFI Docs, Philly Q Fest, and Frameline, and was an official selection at the 2013 Human Rights Watch Film Festival. THE NEW BLACK tells the story of how the African-American community is grappling with the gay rights issue in light of the recent gay marriage movement and the fight over civil rights. The film documents activists, families and clergy on both sides of the campaign to legalize gay marriage and examines homophobia in the black community’s institutional pillar – the black church – while revealing the Christian right wing’s strategy of exploiting this phenomenon in order to pursue an anti-gay political agenda. Director Yoruba Richen will be in attendance for Q & A after the screening.